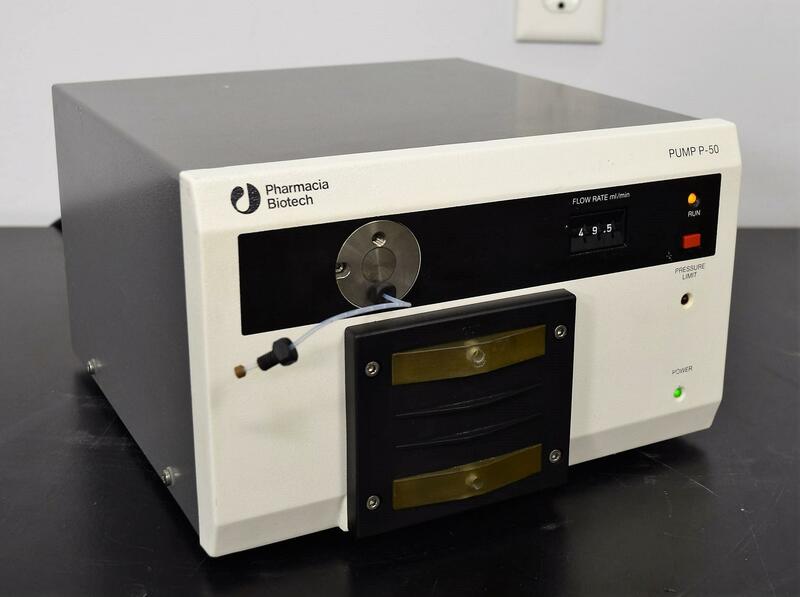 Pharmacia Biotech P-50 Pump Biocompatible Microbiology Liquid Chromatography . New Life Scientific, Inc.
Our in-house technician inspected and tested the Pharmacia Biotech P-50 Pump, confirming it is functional and in good cosmetic condition. He pumped water through the system and it functioned properly. 10.75 x 11.75 x 6.75 in.